Hi! My name is Hannah. I’m a grower who passionately believes that you don’t need to have a massive garden or loads of money to grow delicious food and beautiful ornamentals. If you are thinking of venturing into the garden or just marshalling your window boxes then this site is for you. I’ll be sharing tips to get you started as well as plenty of inspiration and ideas. If you’re anything like me, getting your hands in the soil is the perfect tonic to the chaotic modern world. I changed my career to work in growing because I found I felt so much better, mentally and physically, working with plants. 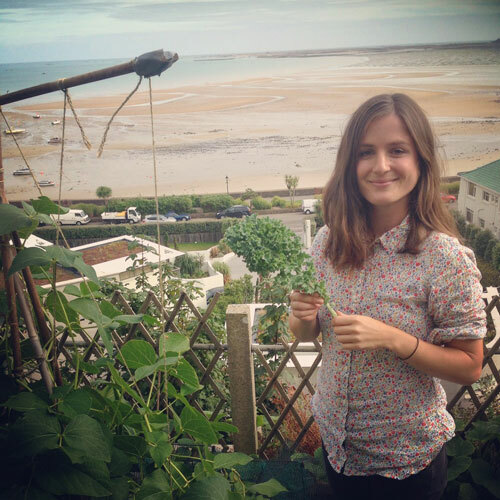 I also want to make a positive contribution to the environment and believe that growing food sustainably will be a key way to secure our future. Currently I work at Growing Communities Dagenham Farm, teaching people how to grow and cook as part of their Grown in Dagenham project. I’m also an Ambassador for Kew Gardens’ Grow Wild campaign to rejuvenate Britain’s wildflowers, and can be found gardening in schools and other city farms across London. I studied Horticulture at the wonderful Capel Manor College, and was lucky enough to receive prizes from the David Colegrave Foundation and the Worshipful Company of Gardeners. 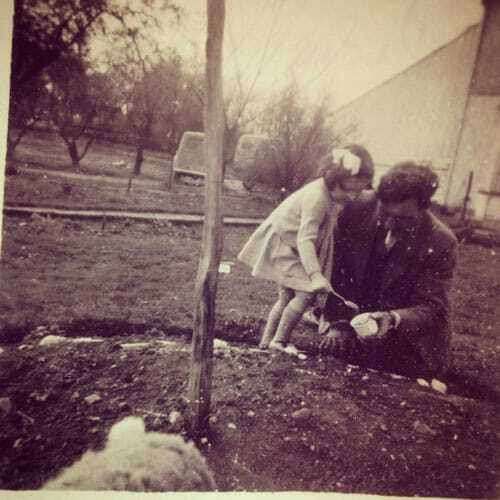 This is a photo of my Grandad who was a nursery man and later a farmer, sowing seeds with my mum in the garden when she was five. I love it and it’s the screen saver on my phone. Times might have changed, but I like to think that this need I have to be around plants and outside in the sunshine is in my blood.